What is it about the sound of waterfalls that is so relaxing? I found this one in a mountain stream. We have a small waterfall circulating water through the fish pond right outside our living room window. You can even buy smaller ones as indoor decorative water features. I must admit though that the sound of Niagara Falls is not exactly relaxing…more awe-inspiring in all of its power! So this thing fell out of a tree and onto our yard a few weeks ago. My husband and I couldn’t agree about what it was. I was positive it must be some type of moss, and he was just as certain that it was a type of lichen. So, thanks to Google, the point goes to…my dear husband! I know you’re simply dying to know now, so I’ll enlighten you. Continue reading What is That? Posted on July 11, 2015 January 10, 2016 Categories inspirationTags christianity, church, devotion, love, natureLeave a comment on What is That? 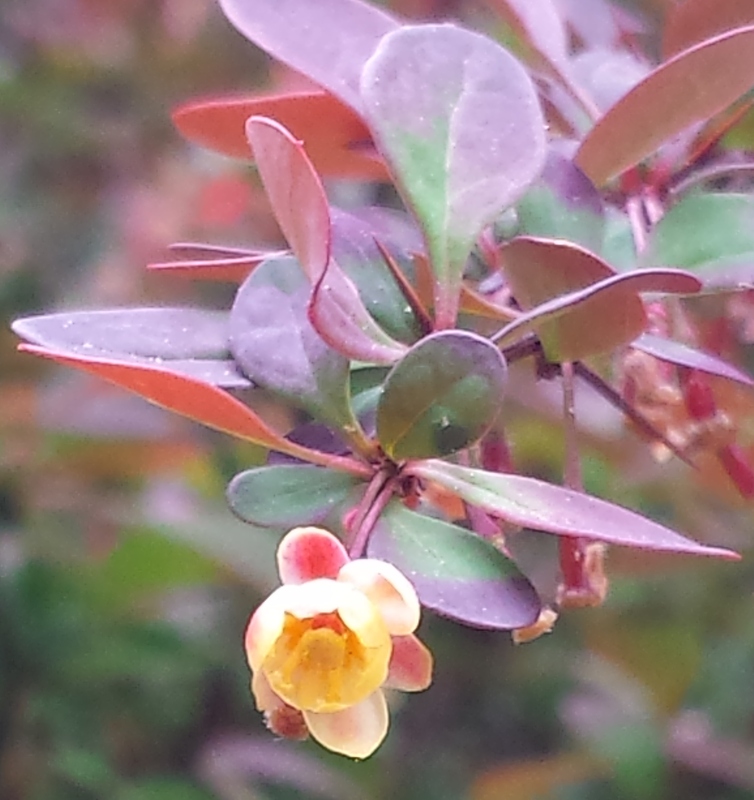 Meet the beautiful barberry bush, popular with landscapers for its striking reddish leaves and year-round hardiness. This bush grows near a corner of our house, but I admit that it has not been near and dear to my heart! Continue reading Barbs or Blossoms? Posted on May 27, 2015 January 10, 2016 Categories UncategorizedTags barberry, devotion, focus, God, loveLeave a comment on Barbs or Blossoms? My youngest son is recovering from his surgery quickly, astounding the doctors and nurses. This picture is obviously not from the past few days, as his head was shaved for the procedure, but I wanted you to see just how handsome he is! As mothers, we never want to see our children in pain, trouble, or difficult circumstances. We would much rather take those problems on ourselves than watch our children struggle through them. Continue reading Who Am I? Posted on May 17, 2015 January 10, 2016 Categories inspirationTags difficulties, love, mothers4 Comments on Who Am I?